TOURISM KZN has a new General Manager responsible for tourism development. Nhlanhla Khumalo, who hails from Newcastle and who took up his new position at the beginning of the month, brings a national perspective to his new job. 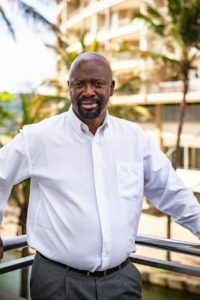 For the last 11 years, he has held top positions at the national Department of Environmental Affairs, which at one stage also encompassed the national Department of Tourism. 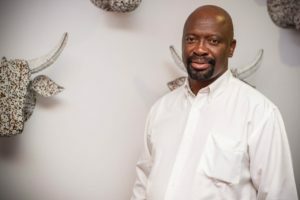 The holder of a Masters degree in tourism, he was the director of programme implementation for the coastal provinces-including KZN-for the past eight years. His impressive track record includes managing, implementing and completing almost 180 environmental protection and infrastructure projects around the country with a total budget of more than R5.4-billion, which achieved clean audits over the past seven years. He further managed and implemented a programme that over-achieved on its annual performance plans, with a programme serving 391 stakeholders (245 in the public sector and 146 in the private sector) in the past seven years. Khumalo was behind the tourism infrastructure development in various protected areas (nature reserves) and their surrounding communities in the Western Cape, Eastern Cape, KwaZulu-Natal, Northern Cape and other provinces. 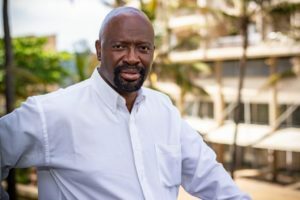 “I have always been responsible for environmental and tourism infrastructure development including but not limited to access roads and accommodation facilities in protected areas,” he said. Now back in his home province, he will be doing more or less the same work and identifying potential tourism products and investment opportunities in the province. “There are sufficient opportunities for rural tourism development in the province for both cultural heritage and nature-based tourism products. In the battlefields and the Zululand regions for example, there lies huge potential for cultural and heritage tourism and there is also huge potential for nature-based tourism in the Elephant Coast and surrounding areas,” he explained. “The tourism market wants tourism activities linked to nature and culture and TKZN has long been keen to diversity and spread its offerings geographically to meet the needs of the market,” he added. Also responsible for investment promotions, Khumalo will be looking for investors for proposed tourism projects and does not envisage any difficulty in get them, particularly as he has a network to tap into. Focused and determined, he says that he is driven to get things done. “I just don’t give up easily,” he explained.